Friendliness comes naturally to some people but to many, it is a learned skill that is quite easy to master, if you know the tricks and how to use them. Being friendly requires not taking yourself and others too seriously. It should be done with a sense of fun and most importantly, it should be done with a willingness to connect to others. As a parent, therefore, your first step is to ask your daughter if she wants to make friends. She may express hesitation if she does not know how, but as you follow the tricks I will outline shortly, she will likely be more keen to try and talk to other kids. What I am about to share is exactly what I do when I make friends as I am out and about. It truly works and can open you and your child to many new friends. Again with a spirit of fun, let’s dive into these tricks and see them working for both! 1. Smile: It is incredible how something as innocuous and as simple as a smile will instantly affect people’s response to you. Smiling makes you look cheerful, positive and attractive. People want to be around that kind of person because it makes them feel good and they become open to you. 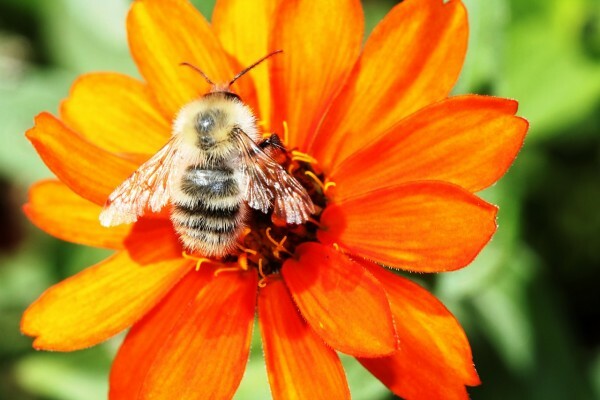 Take your child to look at flowers outside and observe which flowers bees are attracted to. It is usually the flowers that are wide open, as if they are smiling, with brightly colored petals and a scent. When you smile, you are like that kind of a flower that attracts people to become friends with you. When your child learns to smile, it also calms her nerves if she is tentative about meeting other kids. So practice smiling at people when you are with your child and see how well people respond to you both, wherever you go! 2. Be Curious: Encourage your child to pay attention to the people around her. What does she notice about them? Is someone wearing a pretty dress? Or a perhaps your child notices another child jumping rope, dancing or reading. She could also notice something that another child is doing that she likes to do such as doing puzzles, making bracelets or wearing a Star Wars/Frozen shirt. Encourage your daughter to ask about what they are doing and if they like it. A simple “Your shoes are so pretty, where did you get them from?” or “What is your book about…it looks interesting?”, done with a smile, breaks the ice, encourages a chat and very often, friendship. 4. 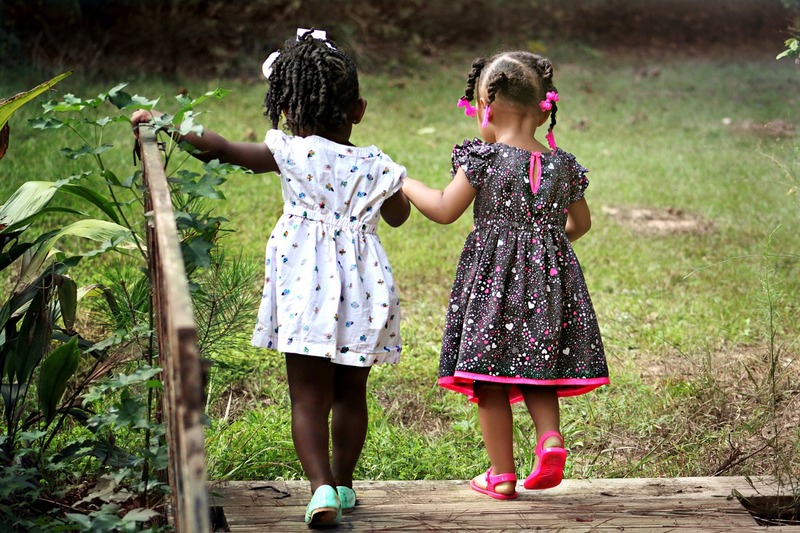 Share: Sharing toys, crayons, time on the playground slide or even iPad time with other kids encourages friendship. Most kids will notice that your daughter is being nice to them and will respond well to her. When you share things with others, they feel seen and cared for, which immediately makes them see you in a positive light. It touches their heart. Encourage your child to be considerate of others, when they are playing, in the ways outlined above and see how other kids respond to their kindness. Encourage her to allow other kids to go first on the slide sometimes or share the color crayon that the other child at the table would like. Sharing is a simple way of taking the first step towards feeling good about herself and making good friends! 5. Keep Going: After all these wonderful first steps towards talking to others, keep talking. Encourage your daughter to ask more questions and talk about what she likes or what she is good at. If she doesn’t make friends on the first try, at the playground or at school, encourage her to keep smiling, keep sharing, keep talking, keep asking questions and soon enough, she will make friends! In all these instances remind your child that it is OK if things do not turn out exactly the way she wants them to. What is important, however, is to have fun while doing it and to keep going. New friends await her! I’d love to hear from you. Leave a comment below and let me know which one of these tricks was helpful to you and your child! Share these tips with all of your friends too:)!